Dany Sixx: "Hi! I am French and KISS fan since 1975 .. 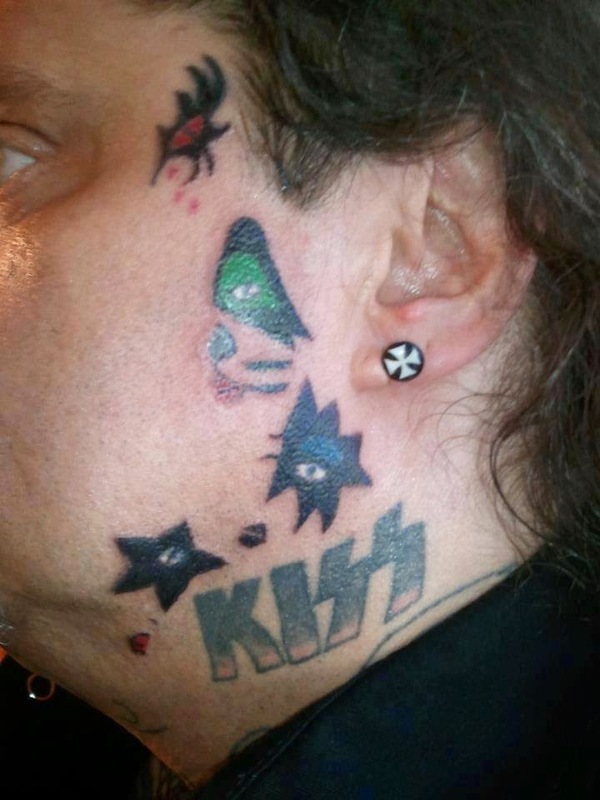 Here are my new tattoos on my face .... I am 51 years and saw KISS live for the first time May 22, 1976 in Paris ... Greetings and good luck! ! KI$$"